A partner or friend expecting? 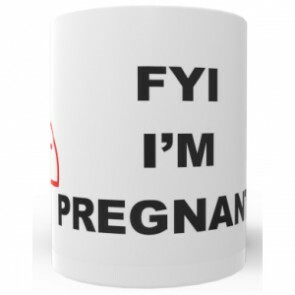 Find the ideal pregnancy gift! How about the magical Mexican Bola, pregnancy keepsake box, scan picture frame and many more - thoughtful and original mum to be gift ideas! We have carefully selected 4 luxurious products to create the ultimate pregnancy pampering experience and to take care of bathtime, tired time and me time. A fabulous, original gift selection for a very special bump! 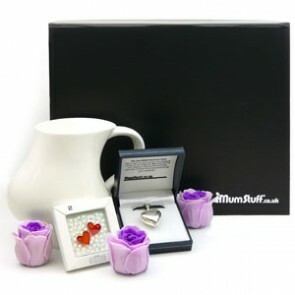 Spoil mum to be with this beautiful and exclusive collection of fantastic goodies. Celebrate your bump! 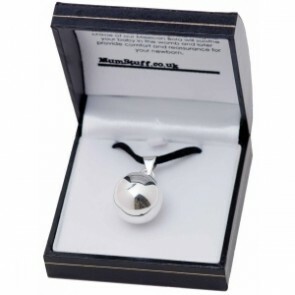 That is what this fun and quirky gift box is all about. 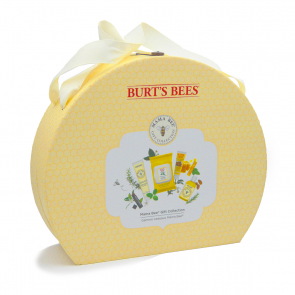 We have packed it full of special goodies that will bring a smile to the face of any bump-endowed lady! 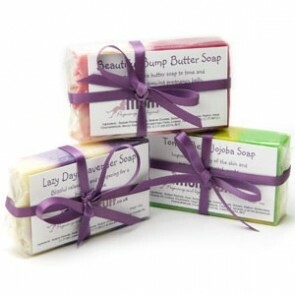 A gorgeous collection of our three exclusive handmade soaps make the perfect gift to pamper mum to be. 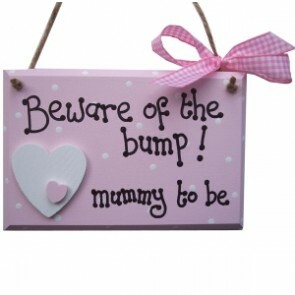 We love this quirky 'Beware of the Bump' plaque, lovingly handcrafted in wood, painted with white polka dots and a raised 'double' heart! Finished with a gingham ribbon and a brown twine to hang it up. 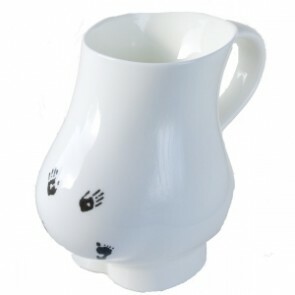 'MumStuff Big Bump Mug' which is a plain white design, and the ''MumStuff Big Bump Mug (Little Hands & Feet)' which is also white and incorporates our own scan image of teeny tiny hands and feet onto the front of the mug! Gorgeous!